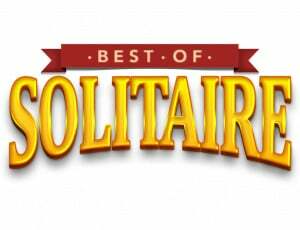 "Best of Solitaire" features 101 variations of the most well-known and best-loved single-player card game including Klondike, Freecell, Spider, Pyramid, Yukon. 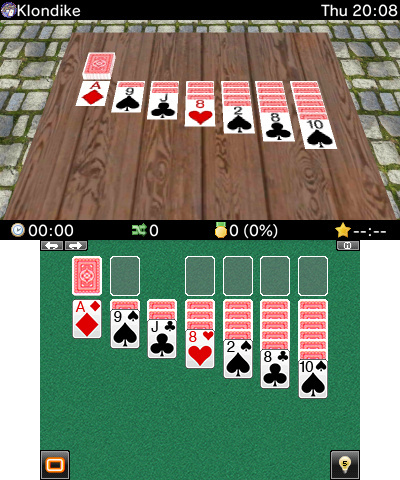 Most games have custom gameplay options so you can enjoy the game with your favourite rules. 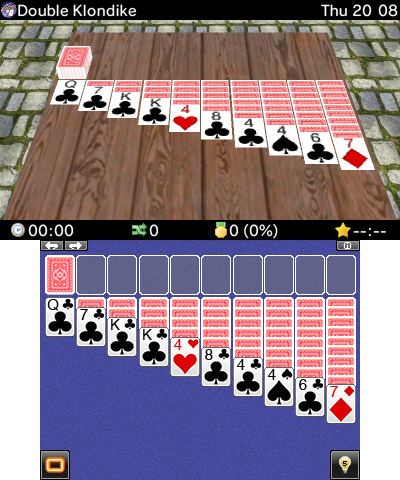 On-screen instructions allow learning of new Solitaire variations. 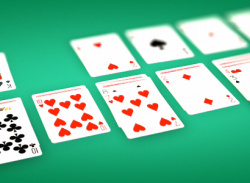 Statistics are available for players who love to track their wins. Save the game status any time for later. 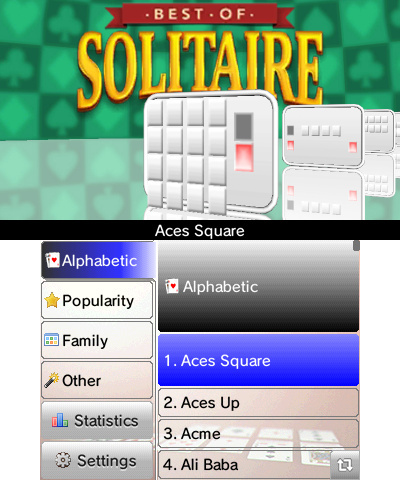 The game's style and interface has been designed for easy intuitive operation with the Nintendo 3DS stylus or the +Control Pad. 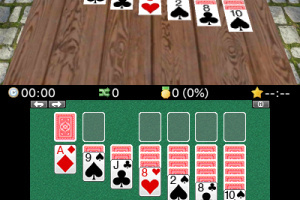 Sit back and relax as you enjoy the endless challenge and fun with this Solitaire game collection. Decided to give this a try, and I really don't regret it. 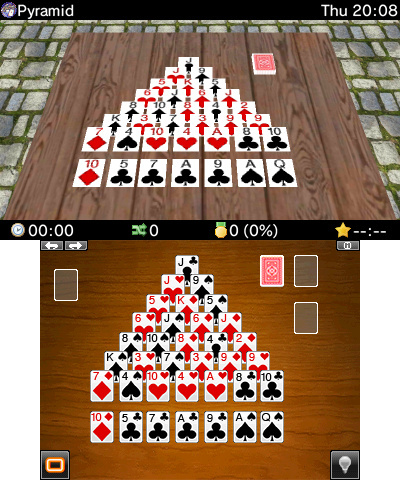 It has pretty much what I found lacking from other solitaire games on 3DS — a huge variety of the most popular solitaire games, even the more obscure but yet well known, like Canfield. 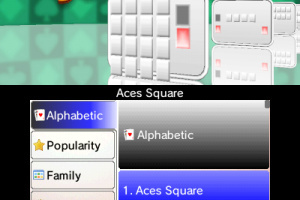 The large amount of rules you can change with each game does tailor the game to the player's strengths. The music is very nice, and there's quite a selection of music tracks--more than you would expect. 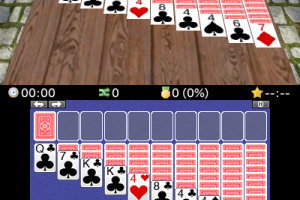 The top table really didn't do much to enhance the experience, as most of the concentration will be on the bottom screen (I usually turned on the "Stats" option to cover the top table up completely). Some games didn't have enough options to make this truly "open" rules, but these were minor nitpicks. Overall, this is worth the asking price. 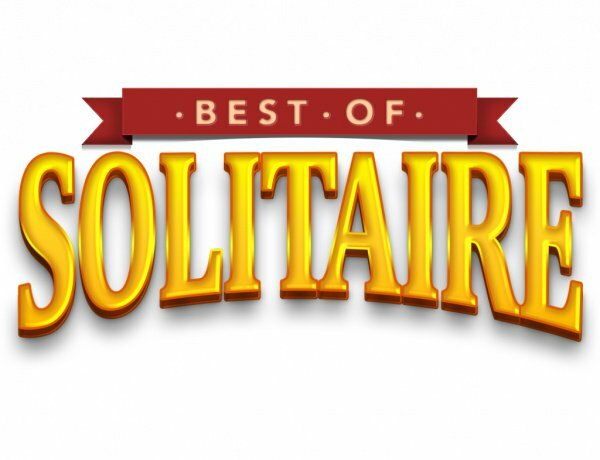 It's slightly more expensive than most of the other solitaire offerings present on the eShop, but for that extra bit you are getting a ton more solitaire favorites and a lot more options than those could ever provide. 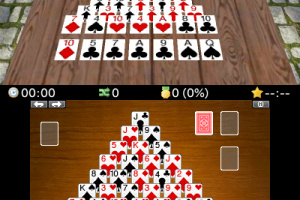 If you like solitaire, this is your choice to get.